Here I will going to explain some basic SQL queries interview questions and answers. What are different queries used in SQL Server with examples. It’s consist of Advanced Select Clause, SQL query to join multiple table and Filtering and Sorting SQL queries. In previous article I explained SQL Query join table, group by clause here I will focus on only 10 basic SQL queries interview questions and answers. 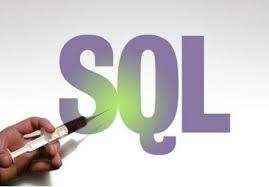 To read related to SQL queries interview questions and answers please go to SQL Server Section. Here I will focus on SQL queries interview questions and answers. Advanced SQL Select Clause consist of Distinct, alias, scalar function and Case statement. SQL queries interview questions and answers solve using Adventure Works Database 2008. 1 SQL queries interview questions and answers – 1) How to select unique rows in SQL server 2008? 2 SQL queries interview questions and answers – How to change column name in SQL result? 3 SQL queries interview questions and answers – How to rename a table in SQL server 2008? 4 SQL queries interview questions and answers – What is use of case in SQL server 2008? 5 SQL queries interview questions and answers – How to use if else in SQL server 2008? 6 SQL queries interview questions and answers – How to sort records in SQL server 2008? 7 SQL queries interview questions and answers – How to sort result ascending order in SQL server 2008? 8 SQL queries interview questions and answers – How to sort result descending order in SQL server 2008? 9 SQL queries interview questions and answers – How to filter data in SQL server 2008? 10 SQL queries interview questions and answers – How to handle NULL in SQL server 2012? How to select unique rows in SQL server 2008? How to change column name in SQL result? How to rename a table in SQL server 2008? What is use of case in SQL server 2008? How to use if else in SQL server 2008? How to sort records in SQL server 2008? How to sort result ascending order in SQL server 2008? How to sort result descending order in SQL server 2008? How to filter data in SQL server 2008? How to handle NULL in SQL server 2012? SQL queries interview questions and answers – 1) How to select unique rows in SQL server 2008? Distinct Clause is used to find only unique rows in result set.Remove Duplicate rows from SQL server database. Provide uniqueness across set of selected column. SQL queries interview questions and answers – How to change column name in SQL result? SQL queries interview questions and answers – How to rename a table in SQL server 2008? SQL queries interview questions and answers – What is use of case in SQL server 2008? Here I will explain case SQL queries examples. Simple case always compare sleeted value with available list of value and produce first match. If no match found then it goes to else clause and if no else then it returns null value. Calculate set of expression, Check all possible logical expression and then perform case part like simple case statement. Means it start with then part and not found then go to else part. SQL queries interview questions and answers – How to use if else in SQL server 2008? SQL queries interview questions and answers – How to sort records in SQL server 2008? Order By query sort result for presentation purpose. Order BY clause always used at the end so Order by clause is last clause to be logically processed .It is used to sort all null together. Using Order by clause we can sort result in ascending or descending manner for that use ASC, DESC respectively. SQL queries interview questions and answers – How to sort result ascending order in SQL server 2008? SQL queries examples with answers Order by ascending order. SQL queries interview questions and answers – How to sort result descending order in SQL server 2008? SQL queries examples with answers Order by descending order. SQL queries interview questions and answers – How to filter data in SQL server 2008? SQL queries examples – How to filter data in SQL server 2008? Top allow you to number of rows or Percentage of rows to be return .Top and combination of Order By clause used to filter and display required data. SQL queries interview questions and answers – How to handle NULL in SQL server 2012? Different component of SQL server handle null differently. SQL server Filter null records using Where, Having clause .Order BY and Distinct Clause treat Null as component. To filter null use IS NULL or IS Not NULL rather than = NULL or <> NULL. In my next article I will explain SQL Server Data Types. Please give me feedback on SQL queries interview questions and answers.